POLL: When did you purchase your first domain? 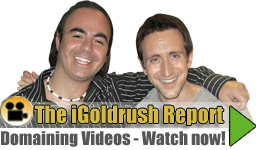 iGoldRush Domain News and Resources > Random Domaining > Polls > When did you purchase your first domain? When did you purchase your first domain? Are you an experienced domainer who has been around since inception or have gotten into the industry just recently? We’re curious when you purchased your first domain, whether it was registering a new domain through a Registrar or buying a domain through a domain name marketplace or domain auction. So, tell us… when did you purchase your first domain? 2 Responses to When did you purchase your first domain? Strange thing is I didn’t keep that first domain I registered, and the second and third names dropped, but then I grabbed again later. How weird is that?